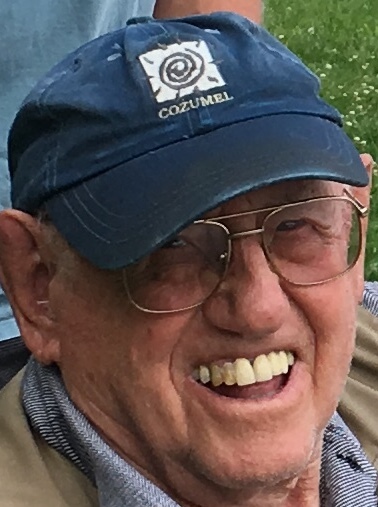 Obituary for Robert L. Ritchey | Timothy A. Berkebile Funeral Home Inc.
Robert L. Ritchey, 89, of Bedford, died on April 3, 2018 at Bedford Colonial Courtyard. He was born on January 27, 1929, in Bedford, a son of the late Lloyd S. and Mary (Diehl) Ritchey. On August 20, 1950, in Everett, PA, he married Betty Louise (Ford) Ritchey who preceded him in death on August 30, 2011. He is survived by two daughters, Karen Clark and husband Michael, of The Villages, FL, Wanda Salser and husband Mark, of Leesburg, VA; one son, Roger Ritchey married to the former Nancy Bauer, of Harleysville; three sisters, Louise Hartsock widow of Harold, of Lake Mary, FL; Mildred "Pug" Rose, widow of Ronald of Bedford; two brothers, John Ritchey and wife Jeanne, of Houston, TX, George Ritchey and wife Carol, of Lititz; six grandchildren; four great-grandchildren; two step-grandchildren. He was preceded in death by one sister Fannie Wertz. Robert was a member of Trinity Lutheran Church. He worked as an equipment operator and manager for 27 years at Lane Enterprises in Bedford and Bridgeport, PA, and also as a dairy farmer. Robert enjoyed watching Pirates Baseball, playing cards, square dancing, and was an avid hunter and fisherman. Funeral Services will be held on Saturday, April 7, 2018 at 11:00 a.m., at the Timothy A. Berkebile Funeral Home, in Bedford with Rev. Raymond E. Short officiating. Burial will be held private. Friends will be received on Friday from 4-7 p.m. at the funeral home, and one hour prior to the service on Saturday. In lieu of flowers those wishing may make memorial contributions in Robert’s name to: 2018 Trinity Lutheran Church Alter & Nave Renovation Project, 106 W. Penn St., Bedford, PA 15522. Our online guest book is available at www.berkebilefuneralhome.com.